Welcome to another issue of Around the Kitchen Table! Thanks for choosing me as your Watkins Associate! This is the last issue of 2012 so I am wishing you and your loved ones a very Merry Christmas and a Happy New Year! I hope all of you are safe and warm and your property undamaged if you were near the path of hurricane Sandy. I'm including the Emergency Holiday Cooking Tips and Substitutions and Holiday Cooking Help Lines again this month to help with those last minute cooking emergencies. Look at the delicious recipes we have for you this issue - French Toast Souffle, Oreo Peppermint Bark, Dark Chocolate Cherry Fudge, Milk Chocolate Florentine Cookies, and No-Bake Chocolate, Peanut Butter, and Oatmeal Cookies. If you are considering a home based business please take a look at Watkins. Get a $30 gift certificate if you sign up with me as your sponsor, Eleisia Whitney ID# 335001. 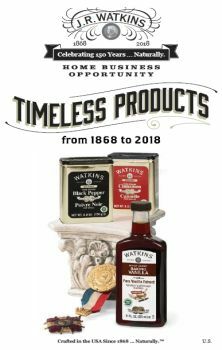 Sign up at my business information web site http://www.tsginfo.com/ew4346, at http://www.watkinsonline.com/eleisiawhitneyunder Join Us - As an Associate, or by calling Watkins at 1-800-928-5467. Give my name and ID# as your sponsor. View all December Specials and the complete product line at http://www.NotJustVanilla.com You’ll find Monthly Specials on the side menu. 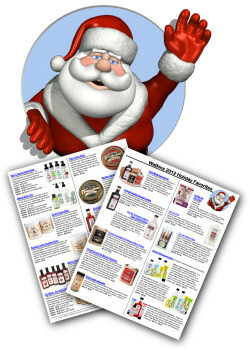 Check out our Watkins 2012 Holiday Favorites Flyer. Stock up on your favorite products or combine orders with friends and family to have your products shipped free of charge! 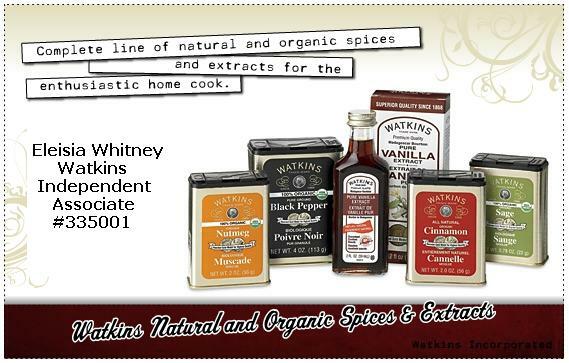 Place your order at http://www.NotJustVanilla.com or call 1-800-928-5467 (1-800-WATKINS) to place an order. Please give my name and ID#, Eleisia Whitney #335001, as your Watkins Associate. 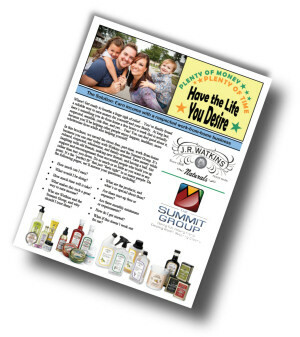 If you are considering a home based business please take a look at Watkins. Join with me as your sponsor, Eleisia Whitney ID# 335001. Sign up at my business information web site http://www.vanillasage.com, at http://www.watkinsonline.com/eleisiawhitney under Join Us - As an Associate, or by calling Watkins at 1-800-928-5467. Give my name and ID# as your sponsor, Eleisia Whitney ID# 335001. Visit www.tsginfo.com/ew4346a for details with no pressure or obligation.